Subaru UK announced pricing on the new 2018 Outback with updates for the current generation model, but one engine is missing from the lineup. 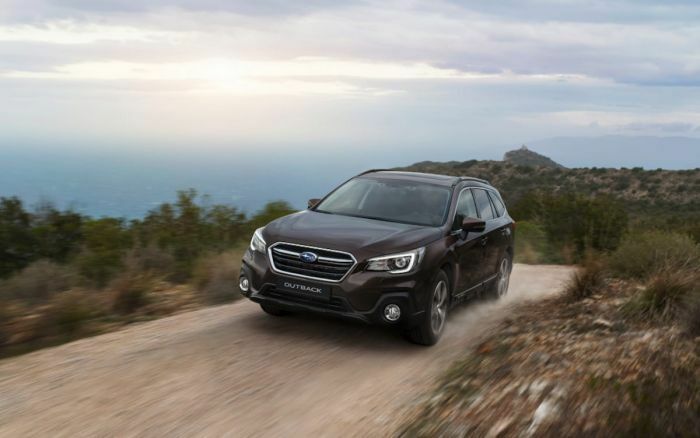 Subaru has axed the 2.0L turbo diesel in the Outback and all other models in Europe. The good news is, 2018 Outback pricing remains the same as the previous model, starting from 29,995 (British Pounds) for the SE model to 33,010 for the SE Premium model. We reported here at Torque News last fall, Subaru Corporation would stop selling diesel cars by 2020 to focus on electric vehicle development. But last month we found out the Japanese automaker will stop selling its popular Outback 2.0D and Forester diesel models in Europe and Australia this year. With the announcement of the dealer launch of the 2018 Subaru Outback in the UK, it’s only offered with the naturally-aspirated 2.5-liter “FB25” gasoline Boxer engine. The 2.5L engine produces 175PS and 235Nm torque and gets fuel economy of 38.7mpg on the combined cycle and CO2 emissions of 166g/km. Subaru is axing the 2.0-liter turbo diesel for lack of demand. Subaru Corp sells about 15,000 turbo diesel Outbacks and Foresters annually, accounting for roughly 1.5 percent of its total global sales. With hybrid and EV technology advancing, the diesel will go the way of the dinosaurs. Subaru Corporation will now begin to focus more attention on developing a plug-in hybrid for the U.S. market in 2018, and an all-electric vehicle in 2021 or 2022. There are still some 2017 Outback 2.0D models left, but if you want one, you need to act quickly. The 2018 Subaru Outback arrives soon, with 2.5-liter Boxer gasoline power only.